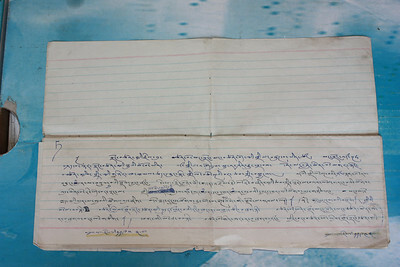 དགེ་ཆོས་འཁྲུངས་སའི་སྡེ་བའི་སྟོན་ཁའི་དུས་ཀྱི་གཡུལ་ཁ། Harvesting ground in Shopong, the village where Gendun Chopel was born. 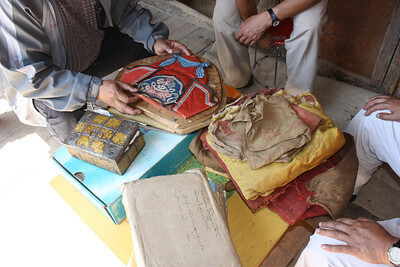 དགེ་ཆོས་འཁྲུངས་སའི་སྡེ་བའི་སྲང་ལམ་ཞིག A narrow lane in Gendun Chopel's home village. 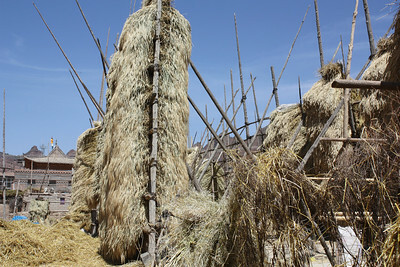 Shopong. 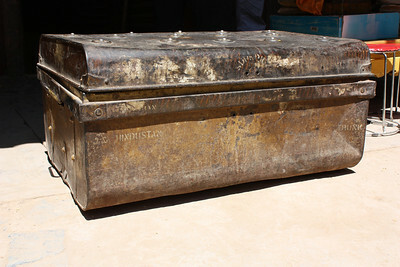 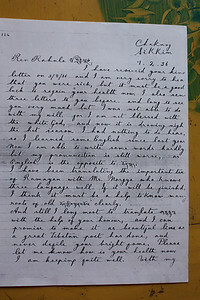 A trunk sent by Gendun Chopel from India to Shopong. 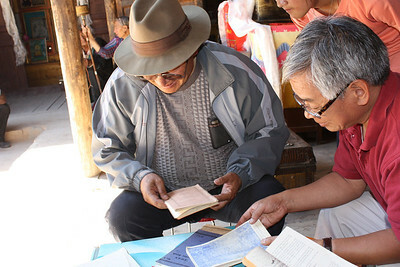 Latse Library Director Pema Bhum (right) with Yondrung Gyal, nephew of Gendun Chopel, and caretaker of his personal effects and possessions. 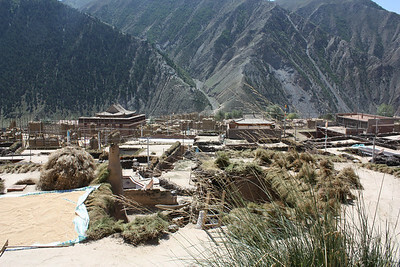 དེབ་དཀར་གྱི་རྩོམ་གདན་གྱི་ཤོག་ལྷེ་ཞིག Draft of the White Annals. 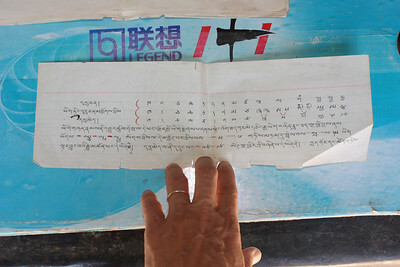 དེབ་དཀར་གྱི་རྩོམ་གདན་གྱི་ཤོག་ལྷེ་གཉིས། One page from manuscript draft of the White Annals. 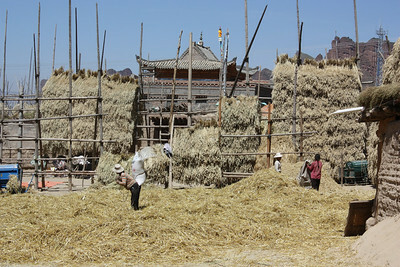 དེབ་དཀར་གྱི་རྩོམ་གདན་གྱི་ཤོག་ལྷེ་གཉིས། One page from manuscript draft of White Annals. 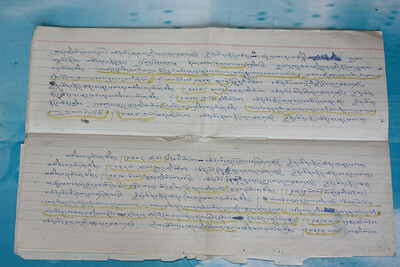 དེབ་དཀར་གྱི་རྩོམ་གདན། Draft of the White Annals. 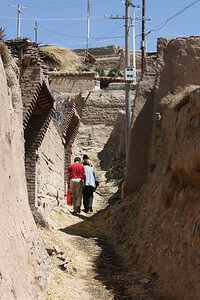 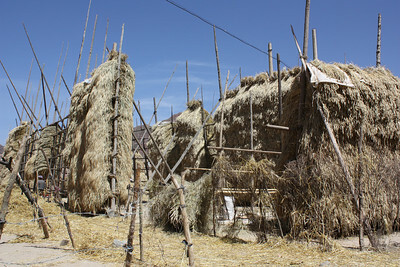 ཏུན་ཧོང་གཏེར་ཡིག་ལ་ཞིབ་འཇུག་གནང་བའི་ཤོག་ལྷེ། A note on a Dunhuang manuscript. 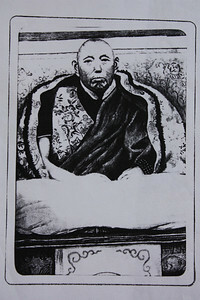 དབུ་ཅན་ནས་དབུ་མེད་དུ་འགྱུར་ལུགས་སྟོན་པའི་རྩོམ་གདན། Gendun Chopel's notes on research on progression from ucan (print) to ume (cursive) in Tibetan script. 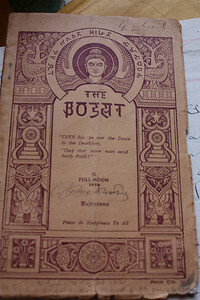 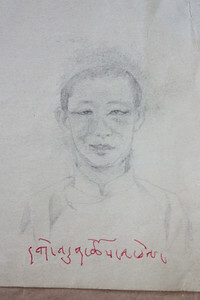 དགེ་ཆོས་ཀྱི་ཕྱག་དེབ་ཅིག A book from Gendun Chopel's collection. 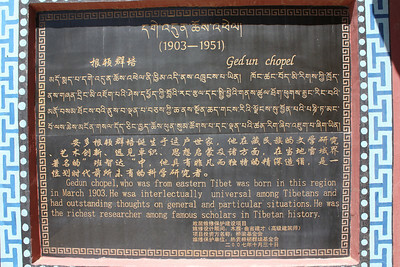 རྗོར་རྗི་ རོ་རིག་ནས་དགེ་ཆོས་ལ་ཕུལ་བའི་དཔེ་དེབ་ཅིག Inscription by George Roerich in book given to Gendun Chopel. 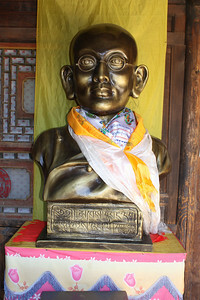 དགེ་ཆོས་ཀྱི་འཁྲུངས་གཞིས་སུ་གཅེས་ཉར་གནང་ཡོད་པའི་དགེ་ཆོས་ཀྱི་འདྲ་རིས་ཤི Portrait of Gendun Chopel kept in his home. 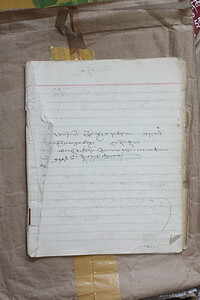 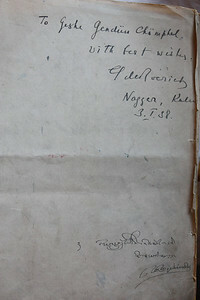 དགེ་ཆོས་ཀྱི་འབྲི་དེབ་ཅིག One of Gendun Chopel's notebooks. 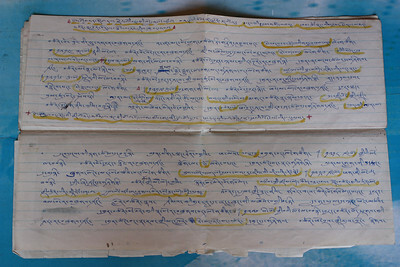 དགེ་ཆོས་ཀྱི་རྒྱ་གར་གྱི་ཡི་གེའི་ཕྱག་དེབ་ཅིག་ལས་མངོན་པའི་ཁོང་བོད་ཡུལ་གྱི་ཁྲོམ་ར་ཞིག་ལ་ཉལ་བཞིན་པའི་འདྲ་པར། Image from a book on Gendun Chopel in Hindi of GC in a marketplace in Tibet. 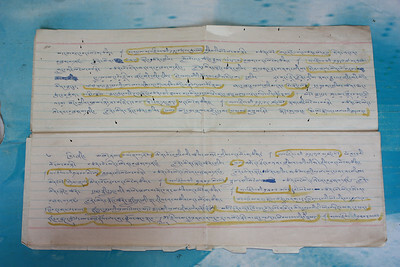 དགེ་ཆོས་ཀྱིས་བྲིས་པའི་རྒྱལ་བ་སྐུ་ཕྲེང་བཅུ་གསུམ་པའི་འདྲི་རིས། Portrait of 13th Dalai Lama by Gendun Chopel. 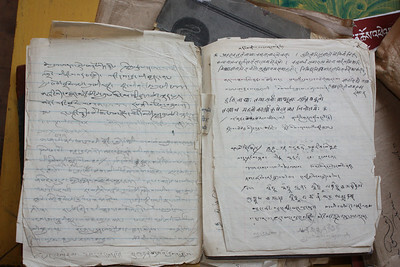 དགེ་ཆོས་རྒྱ་གར་ལ་གདན་འདྲེན་ཞུ་མཁན་པཎྚིཏ རཱཧུལ སཾཀྲིཏྱཱཡན་གྱི་འདྲ་རིས། Portrait of Rahul Sankrityayan, who invited Gendun Chopel to India. 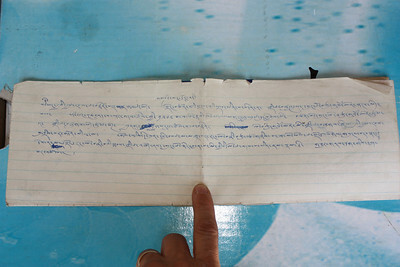 དགེ་ཆོས་ཀྱི་ཕྱག་དེབ་ཅིག་ལས་མངོན་པའི་དགེ་ཆོས་དང་ པཎྚིཏ རཱཧུལ སཾཀྲིཏྱཱཡན་གཉིས་མཉམ་དུ་ཡོད་པའི་འདྲ་པར་ཞི Photo in Indian source showing Rahula with GC in a hotel. 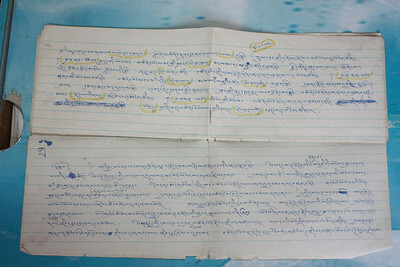 དགེ་ཆོས་ཀྱིས་པཎྚི་ཏ་ར་ཧུ་ལ་ལ་བསྐུར་བའི་འཕྲིན་ཡིག་ཕྱག་བསྟར་མ་ཞིག Letter to Rahula from Gendun Chopel. 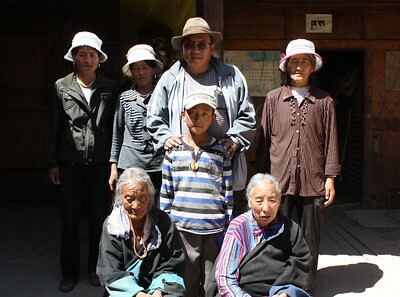 དགེ་ཆོས་ཀྱི་གཉེན་ཉེ་ཁག་ཅིག Gendun Chopel's family and relatives at the family home in Shopong. 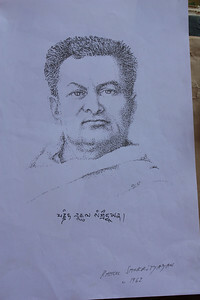 དགེ་ཆོས་ཀྱི་འཁྲུངས་གཞིས་སུ་བཞེངས་ཡོད་པའི་དགེ་ཆོས་ཀྱི་འདྲ་སྐུ་ཞིག A bust of GC now stands in his birth home. 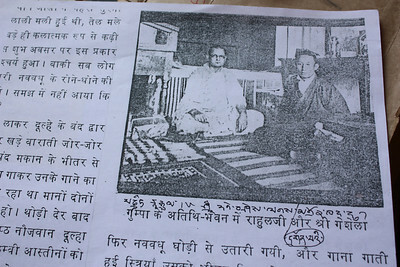 དགེ་ཆོས་འཁྲུངས་གཞིས་ཀྱི་རྒྱ་སྒོ་ནས་མཐོང་བའི་སྡེ་བའི་ཟུར་ཞིག A view of Gendun Chopel's village, Shopong, from the front gate of his home. 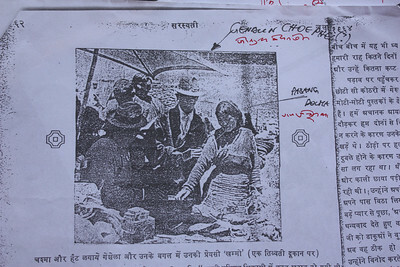 དགེ་ཆོས་འཁྲུངས་གཞིས་ཀྱི་རྒྱ་སྒོའི་ནང་། The entryway to Gendun Chopel's home. 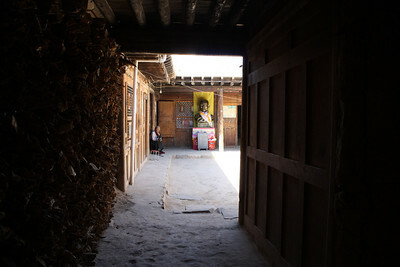 འཁྲུངས་གཞིས་ཀྱི་ལྷས། Courtyard of the family home. 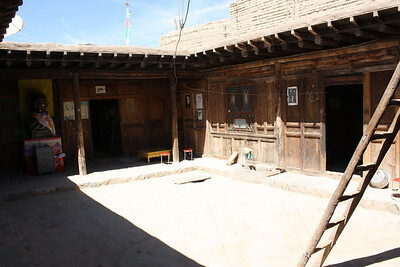 མ་ཁང་གི་ཟུར་ཞིག Main room of the family house. 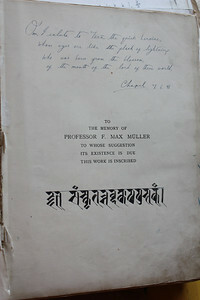 དགེ་ཆོས་འཁྲུངས་གཞིས་ཀྱི་མ་ཁང་། མ་ཁང་ནི་རེབ་གོང་གི་ཁྱིམ་ཚང་ཞིག་གི་བཟའ་བཏུང་གཡོ་སྐོལ་བྱེད་སའི་ཐབ་ཚང་དང་བཟའ་བཏུང་ལ་རོལ་ས། ཁྱིམ་མི་འཛོམས་ས་དང་མགྲོན་པོ་སྣེ་ལེན་བྱེད་ས་བཅས་ཡིན། ཐབ་ཀའི་ཀླད་ཀྱི་ཁང་མིག་དེ་ལ་ཧུ་རྫས་ཟེར་ཞིང་། དགོང་མོ་ཉལ་ས་ཡིན་ཞིང་། བཟའ་མི་འཛོམས་སྐབས་ཕ་མའམ་ཁྱིམ་ཚང་རྒན་རིམ་པ་འདུག་ས་ཡིན། Main room of GC’s family home. 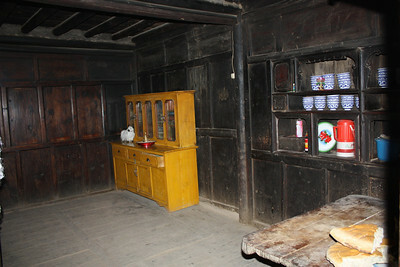 In Rebkong, the makhang refers to the place of the house that serves as kitchen, dining room, family room, and living room. 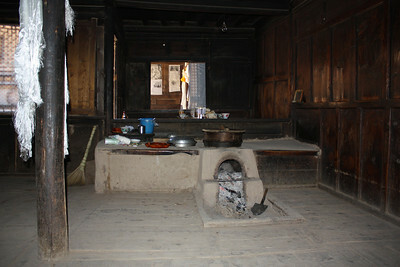 Adjoining the makhang is the hu dzé (hu rdzas)--which can be seen through the opening beyond the hearth--a bedroom where the parents sleep; when the family gathers, the parents sit on the other side of the hearth facing the other family members.